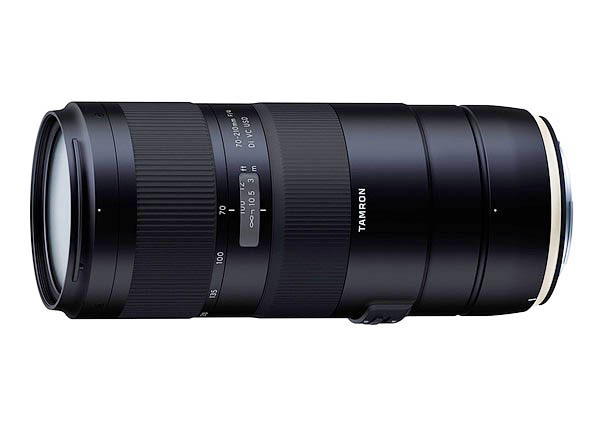 Tamron has announced a new stabilised 70-210mm f4 zoom lens. It has internal focus and ring type USM focus drive. IS gives up to 5 stops. The design includes 20 elements in 14 groups, including 3 low-dispersion elements. The design includes an internal zoom mechanism that provides solid mechanical construction and stable, reliable operation. Model A034 also employs a Dual MPU (Micro-Processing Unit) design, which enables high-speed and high-accuracy AF performance as well as powerful VC (Vibration Compensation) image stabilization for flexible and versatile use in various situations. For dependable outdoor use, the new telephoto zoom is equipped with Fluorine Coating and Moisture-Resistant Construction. The lens will be available in Canon and Nikon mounts in April at $799.00. 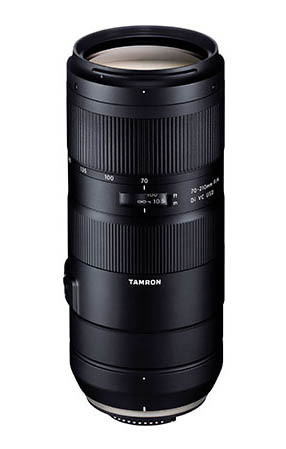 Leveraging Tamron’s years of knowhow developing telephoto zoom lenses, Model A034 achieves superb optical performance with high contrast and resolution. 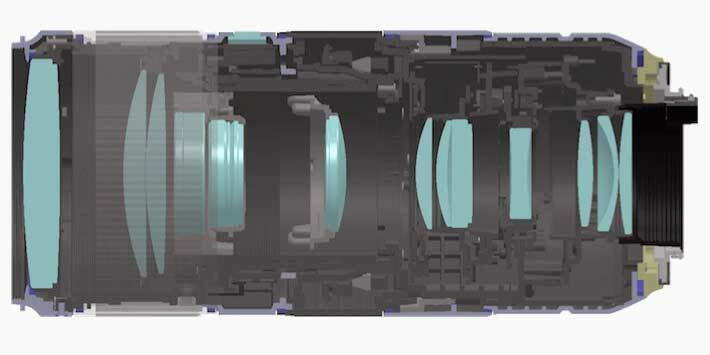 The optical construction (20 elements in 14 groups) uses three LD (Low Dispersion) lens elements to effectively compensate for axial and transverse chromatic aberrations, thereby ensuring crisp and crystal-clear image quality across the entire frame. Furthermore, Model A034 features a constant maximum aperture of F/4 throughout the entire zoom range, thus providing superior control over depth-of-field and excellent bokeh. 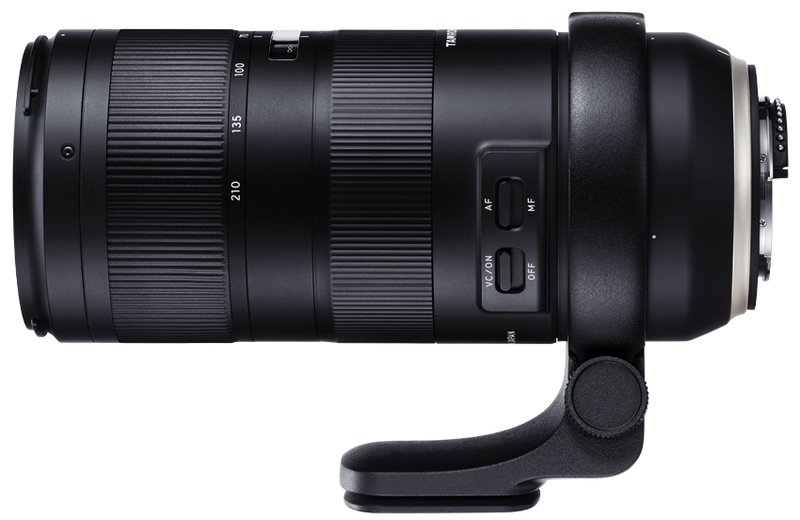 Compared to large aperture telephoto zoom lenses, the new A034 is lighter with a weight of just 30.3 oz. and is more compact with a total length of only 6.8 in. for excellent portability. The lighter weight and smaller size make this new lens easier to carry and instantly spring into action. For rapid attachment to a tripod, an Arca-Swiss style tripod mount is available as an optional accessory. Featuring a hinge-type ring section, connection is easy even when the lens is mounted on a camera. To maximise the advantages of the small and lightweight F/4 zoom lens, the tripod mount is made of lightweight, sturdy magnesium alloy.